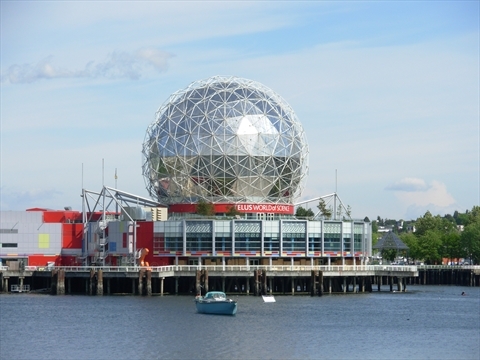 This is the complete guide to False Creek, Vancouver, BC, Canada. False Creek is not a creek, but rather more of an inlet of water in the middle of the City of Vancouver. It is surrounded by a seawall, condominiums, restaurants, marinas, parks, and even a cement plant! 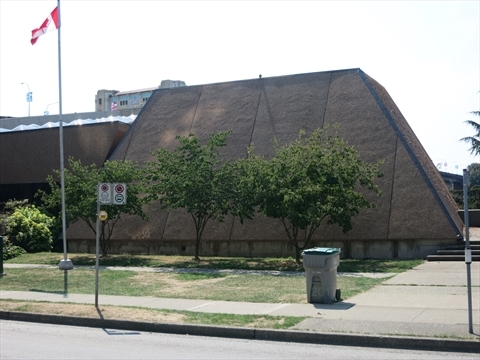 The Vancouver Aquatic Centre is a large swimming and recreation centre in the West End. 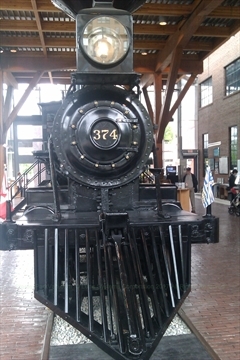 The Yaletown Roundhouse is a building that houses the restored historic train engine 374 that was the first to cross Canada. 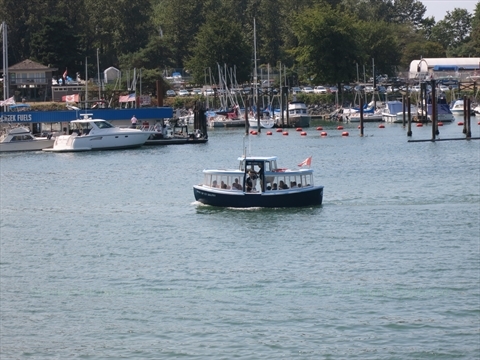 False Creek ferries are small passenger ferries that ferry people across False Creek and English Bay. They operate as water taxis. They have a number of routes, but the main route is from the West End to/from Granville Island. This small pub/restaurant was formerly the Pirate Pub. 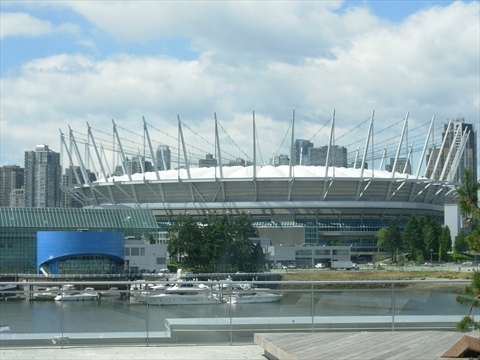 It is located right on the False Creek Seawall. It is a small place, but has outdoor patio seating during the spring/summer. 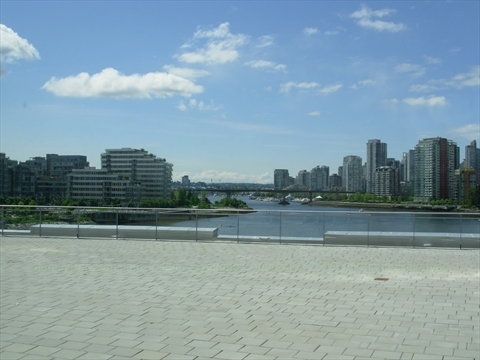 The patio is a really great place to sit out and watch people on the seawall go by. 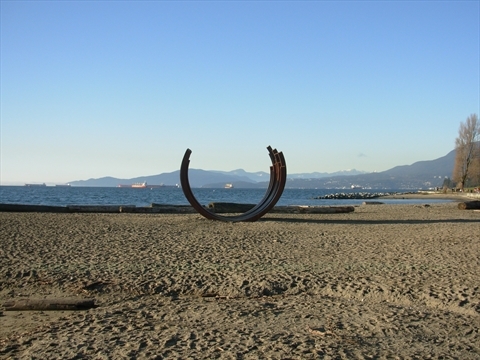 The 217.5 Arc X 13 is a piece of art located on the beach just off of the False Creek Seawall just west of Sunset Beach. 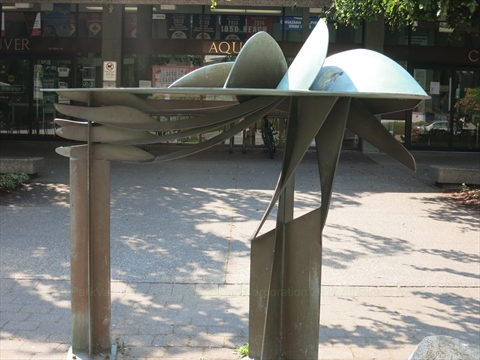 The Swimmer is a piece of art located in front of the Vancouver Aquatic Centre. 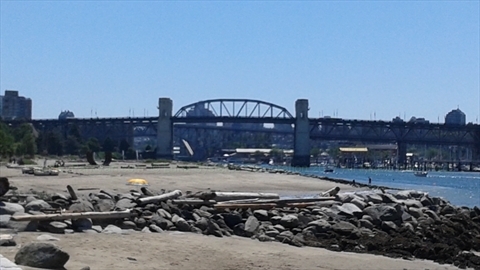 The Burrard Street Bridge is a vehicle, cyclist, and pedestrian bridge that goes over False Creek. Sunset Beach is actually a couple of small beaches on the north side of False Creek near the Vancouver Aquatic Centre . 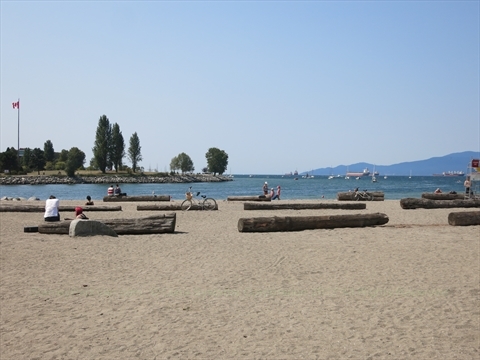 These beaches tend to be less busy than English Bay Beach. 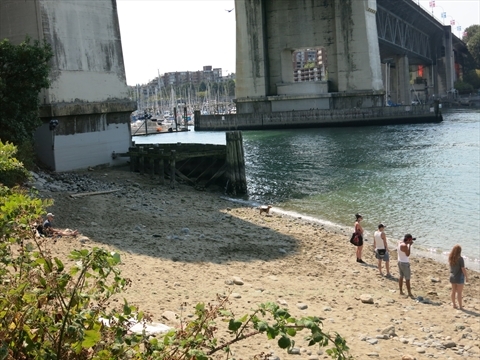 There is a small off-leash dog beach located just next to the Burrard Street Bridge in False Creek. 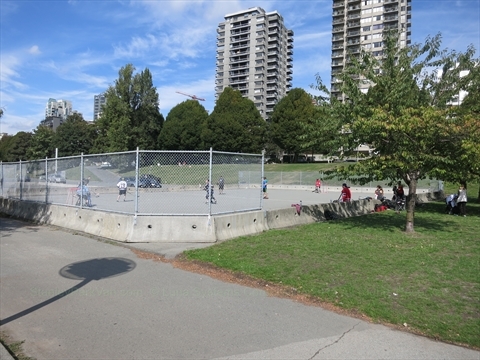 There is a paved roller hockey rink at Sunset Beach. The Crystal Pool was a large swimming pool and building at the foot of Jervis street in the West End. It was demolished in 1974. 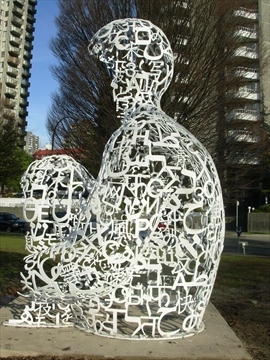 This was a temporary art work that was located on the hill above Sunset Beach in the West End. 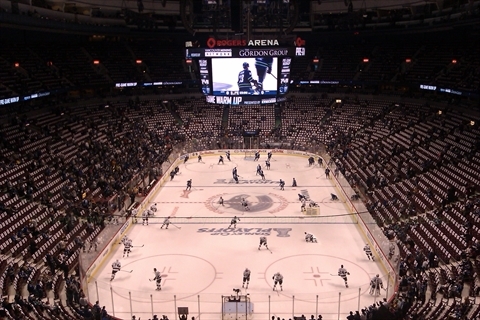 It is no longer there. False Creek is an inlet of water in the middle of the City of Vancouver, BC, Canada.